As a property owner, you make every effort to improve the security levels on your premises. Today, there are a large number of advanced, modern CCTV systems, alarm systems etc. to choose from. But it is important to make the right choices and use these in the right manner so your property is safe and secure. 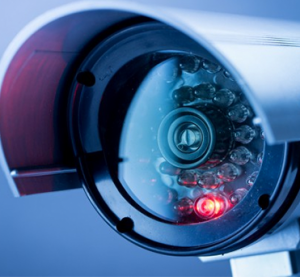 We at CCTV Installation Melbourne are a very reputed company in this field and provide excellent solutions to commercial and residential clients. Many of our clients like to get video intercoms installed on their property. VisualOf The Outside- If you get a standard intercom system installed, that will only provide you with an audio output. On the other hand, when you choose to get a video intercom for your property, you are able to speak with the person. If you want to see an ID, that is possible via the camera as well. This gives you the opportunity to decide whether you really want to open the door for that person or let them into your home. Preventing Risk- Avideo intercom system also helps prevent crimes. This is because you don’t have to open up the door at all in order to determine who is outside. A peephole does not give you the kind of visibility and coverage that the camera of a video intercom system gives. If you feel that the person outside might be a threat to you, it also gives you the timeto contact the police without risking your safety in any way. 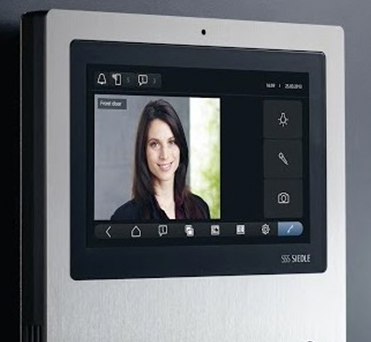 Remote functionality- Many modern video intercom systems can now be accessed from remote locations. You can access it via any mobile device and supported apps that are connected to the software that comes with the system. This means you have visibility of people visiting your home even then you aren’t there. It gives you peace of mind that your home is well-protected from unauthorised entry. If you want to know more about Video Intercom Systems, just get in touch with CCTV Installation Melbourne today. You can use our contact us form or call us at 03 8609 6092 and we’ll be happy to answer any questions you might have. Installing Video Intercoms in the house or anywhere on the property can prove to be extremely useful as it gives homeowners with a visual image rather than just audio. You can see, talk and decide whether to let the person in. This helps provide better security for you and your property. We at CCTV Installation Melbourne understand the importance of installing video intercoms for your house. Our team of experts is highly skilled in installing these systems and we cater to both, residential and commercial clients. Regular intercoms provides you the option to only speak with the visitor. It doesn’t allow you to see them or check them for identification. However, with the installation of video intercoms in your house you can see who the person is, ask them to show their identification on the camera and also check their behavior. This allows you to get all the necessary information before opening the door. Video intercoms are also proved to be effective in preventing crimes, as you do not have to open the door to see who it might be. This gives you time to contact the authorities in case of an emergency. This function allows homeowners to access the video intercom via their smartphones. It records all activity that takes place outside your house even while you’re away. This function may prove extremely effective in cases of break-ins. We are a certified company and are also registered with the Australian Federal Police, which means that we provide trustworthy services. We don’t charge any fee for our first inspection & assessment. We will provide you with a quote after the assessment, this allows you to make a decision based on your budget. If you are considering getting a video intercom system installed on your property, it is important to choose experienced and licensed operators for the job. If you want to know more about Video Intercoms, just get in touch with CCTV Installation Melbourne today. You can use our contact us form or call us at 03 8609 6092 and we’ll be happy to answer any questions you might have.